One of the most essential pieces of kit we have in the studio for your hire is the teleprompter. If you don’t know what an autocue or teleprompter is you’ll certainly have seen one. Most often used in relation to the news you may be surprised to learn they are a staple of many corporate video and commercials. As scripts alter or fatigue sets in it’s always nice to be able to support your talent by offering them a teleprompter that means they can see and read their script comfortably. It’s also useful if your presenter is not a professional and needs a helping hand. A prompter or autocue like ours uses a trapezoidal lens reflecting the words from its’s screen so your talent can read the text. 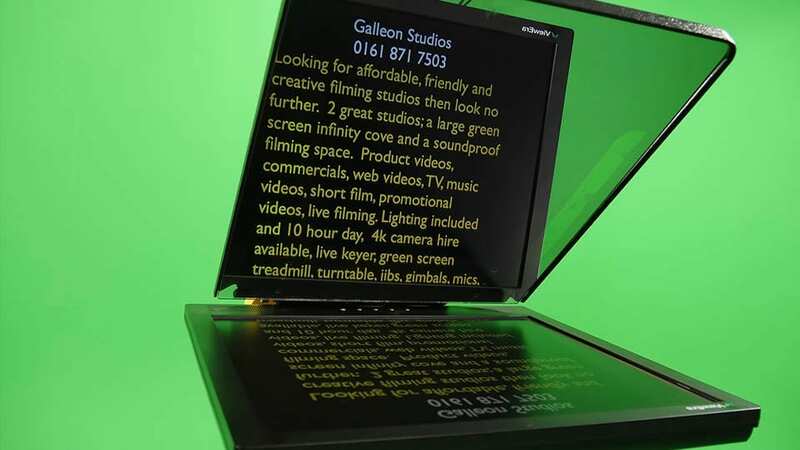 We have three of these teleprompters available to hire from our Manchester studios. This prompter is very different from the kind that people use with their Ipad and is, in all honesty, orders of magnitude better. First of all it runs from a laptop, meaning amendments are as simple as typing on a keyboard. Next it’s much larger than the Ipad prompter and allows more text to appear on screen. This means that you can use large fonts and not have the words “surprise” your talent as they can not see the next line. Instead they can see the upcoming words and punctuation which makes the delivery much more natural. Oftentimes scripts can be altered at the last minute sending your talent into a tale spin. Using an autocue can save both time and stress. It takes the stress from talent having to learn lines. This can be a real boon in product or video for SME’s when the business owner wishes to deliver the company message. That’s more of a instruction to place on your actor. When they first got the script it was a written piece; they just need to add the same emotion as they would do in a performance. Like everything else in life it’s practice and patience. We’re familiar with the darting of the eyes from one side of the screen to the other that we occasionally see you on TV. This is down to a poorly set-up teleprompter. There’s an inbuilt setting that allows text to be structured directly in the eye-line. A skilled operator of the teleprompter can ensure eye movement is very limited by aligning the prompter at the right height. We always encourage you to hire our in-house autocue operator with the teleprompter whose experience will help make the delivery of the text look and sound as natural as possible. Most clients opt to use the autocue in concert with our soundproof studio. 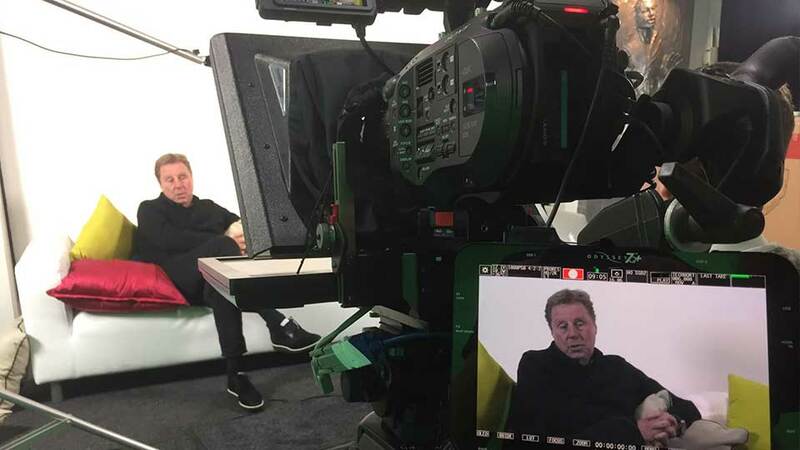 It’s a fantastic location and, if time is of the essence, combining the uninterrupted filming experience of the soundproof studio with the speed of shooting associated with using the autocue many scripts can be delivered in a shooting day. The teleprompter is probably the most hired piece of equipment in our arsenal. It can not only display text but also can be used with PowerPoint presentations which is useful for e-learning modules and video lectures. A few quick cable swaps and the autocue transforms into the interrotron a fantastic piece of kit for a face-to-face interview.